I had someone close to me say that they didn’t believe in God. My reaction was not surprise or disappointment or sadness. It was understanding. I understand why people don’t believe. Faith doesn’t make much sense. In addition, God has granted me the spiritual gift of doubt. I was a science teacher and have always been interested in the logical workings of the world. All of which leads me to understanding why someone wouldn’t believe. I just finished writing a book. It came about because of a men’s group where we wrote about the influences on our spiritual journey and from a pastor friend encouraging me to write a book on grace. In many ways, grace found me. I wrote into my doubt. In the winter time, I tend to put puzzles together. Gives me something to help get through longer time indoors and shorter hours of daylight. 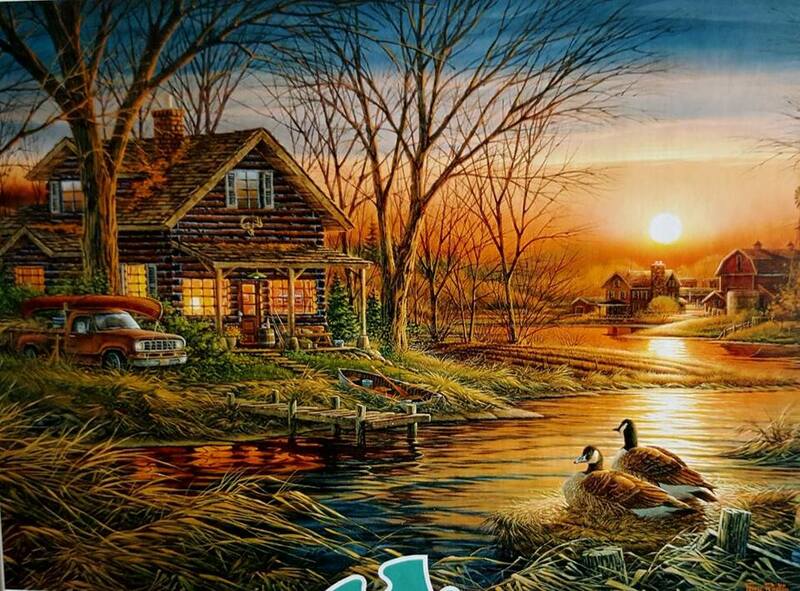 I picked a challenging puzzle this year, one that replicated a Terry Redlin print. There were a number of difficult sections, so what helped me was sorting and looking for patterns. I would say the same thing about my faith and belief. I have seen God through difficult times and working through others. There are things that don’t fit together perfectly, belief is sometimes puzzling, and it takes time and work to sort through the pieces, to make my picture of faith more clear. John Wesley categorized stages of grace, which I try to explain in my book within the context of stories from my life and the lives of others. One of the unique ideas of Wesley was the concept of Prevenient Grace. Big word that just means the convenient love of God is always available, working on us, nudging us toward God. It’s the reason the United Methodist Church offers infant baptism. We are accepting that God’s love is already available – there’s nothing we can do to earn it, that God has accepted us from the beginning. I fully accept while I don’t always like things about the church, I’ve never been deeply hurt or pushed away by the church. We’ve not had unexplained health disasters. We’ve been void of tragedy or violence to our family. We’ve been able to stay away from some of those situations that might generate disbelief. The reality is some respond to grace, others do not. I know the person I mentioned may never accept God. My prayer is that, at some point, the pieces of the puzzle will fit for this person and for others. I also accept that their picture may never become more than a pile of cardboard shapes. 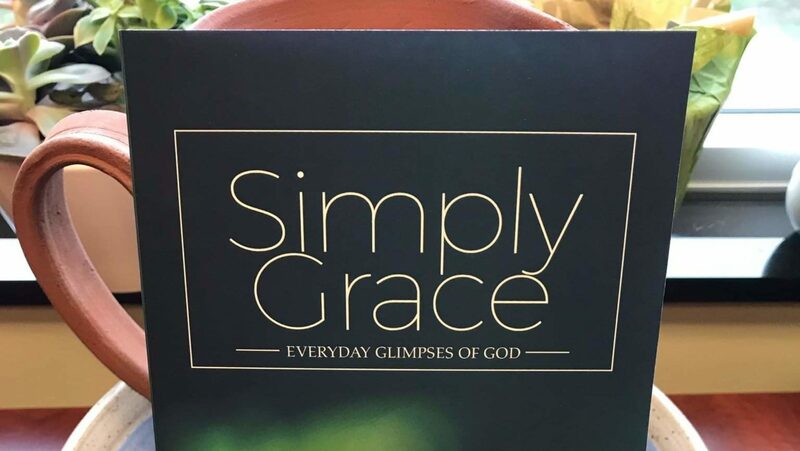 One of the real blessings in my book was including Simply Grace stories of others. People who came to belief through myriad ways and beyond my experience. People who found a way through difficult and puzzling circumstances. A pastor friend said this in a sermon, “Sometimes we can’t see it all, so we’re not willing to step into it at all. Let’s not be people and church that need to see it all before we step into uncertainty.” I hope that we all accept our doubt and other’s doubt, as it may be a way to put the pieces together to faith. You were working on sermon to go with the book presentation. This would work very well. Thoughtful and insightful. What a thoughtful analogy. Thank you for sharing your talent.